Almost a month here in Barcelona (in 4 days to be precise! )…Anyway, I will be quick. 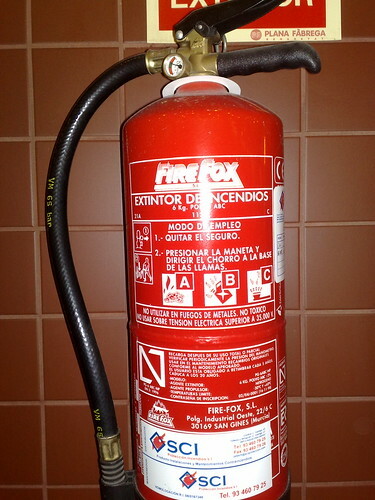 In a previous post there is an picture of a fire extinguisher called “UNIX”. On this post, let me show you my new find!Yes, another fire extinguisher…I think someone is doing this to me on purpose! and you are photo-shooting extensions? Tip for Barcelona #1: Girls are many and from any country you want. Next Next post: Education for everyone!